SECURE BLOWN combines extraordinary load-holding force with exceptional puncture and tear resistance to create a film which excels in capturing and holding heavy B and unstable C loads. 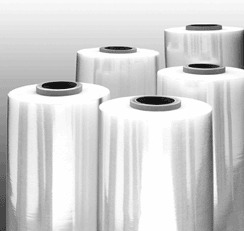 The film's aggressive cling package promotes the bonding of all layers and eliminates tailing. It performs well in cold environments and its low-gloss surface improves scanning capabilities. This blown film's containment advantage means 15% to 25% less film usage versus typical cast, broad application films. Achieve the load security you require with less film. SECURE BLOWN, the containment solution for tough loads!